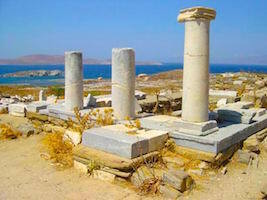 Delos was the island of the God Apollo, inhabited since about 3000 BC, though it was not until the 8th Century that the first temples and shrines were built there. 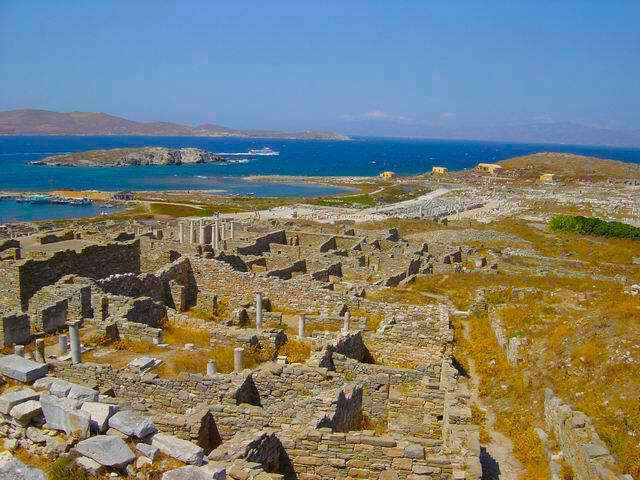 By the 5th Century when Athens began to control the Aegean they established the Delian League, an alliance of Greek City-States, and purified the island by kicking out the locals and putting the treasury there. 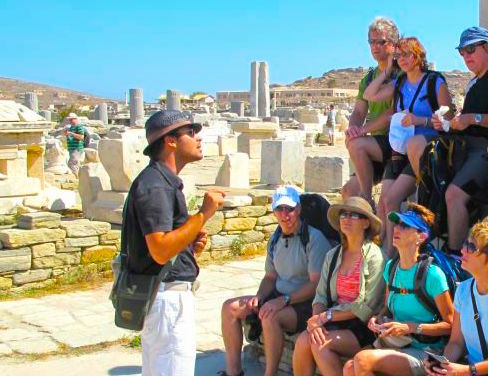 During the Hellenistic period it became a center of commerce and one of the most important religious centers in Greece, attracting wealthy merchants, sailors and bankers from all over the Mediterranean who built more temples, shrines, homes and other buildings. 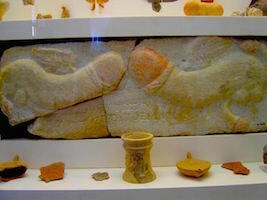 In 167 BC it became a free port of the Romans with a market that sold 10,000 slaves a day. In the end it got trashed like everything else, by pirates, looters and early tourists. 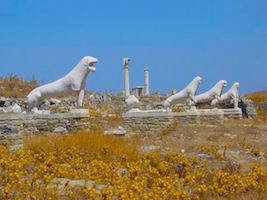 But Delos is one of the most important archaeological sites in Greece and if you go to Mykonos and don't visit Delos at least once in your lifetime you should probably be embarrassed. Need a Guide for Delos? Do you enjoy using my site? Have you found it entertaining as well as useful? 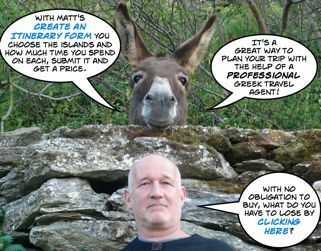 If so please show your appreciation by booking hotels and homes through the travel agencies and the links found on this page and on my Greek Travel Agency page. The small comission I make on the bookings enable me to keep working and in most cases you won't find them any cheaper by searching elsewhere. 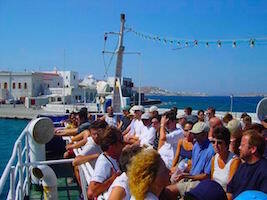 You can find hotels, apartments, rooms and even houses through Booking.com's Mykonos Pages (there are no hotels on Delos)which also contributes to my website when you book.